Maxis has revealed a couple of promotions for the newly launched Huawei P20 and P20 Pro. First of all is the introduction of the phones to the Zerolution upgrade programme, while the other is an offer to buy the device for RM1 with selected MaxisOne plans. 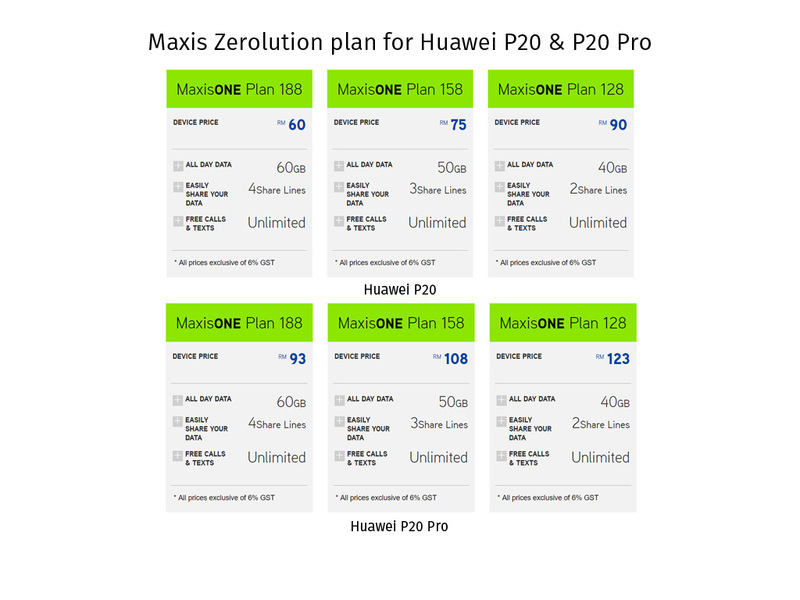 The Zerolution plans start from RM60 per month for the P20 and RM93 per month for the P20 Pro; there are three plans available for customers: MaxisONE Plan 188, MaxisONE Plan 158 and MaxisONE Plan 128. Under the Zerolution plans, customers are tied with Maxis under a 24-month contract; with an option to upgrade to a new device after 12 months if they take up the Zerolution Upgrade Programme. The upgrade will cost subscribers an additional RM67 per month, on top of the monthly postpaid and device commitments. 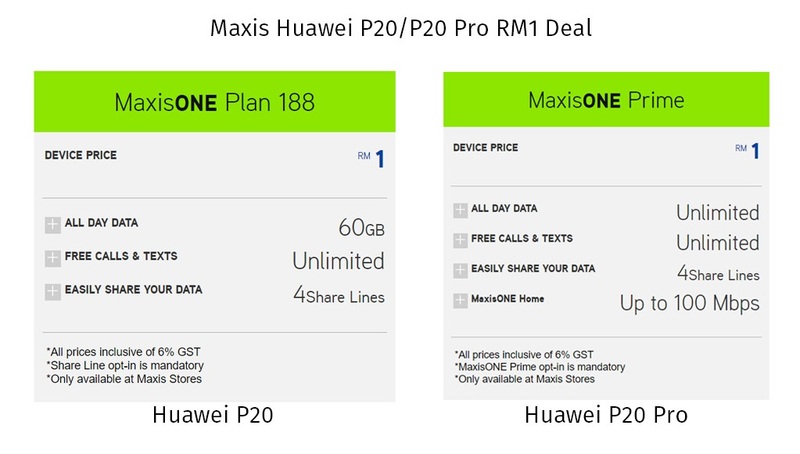 Alternatively, customers can also own the Huawei P20 for RM1 if they sign-up for a new MaxisONE Plan 188, with a MaxisONE Share 48 Plan Line. 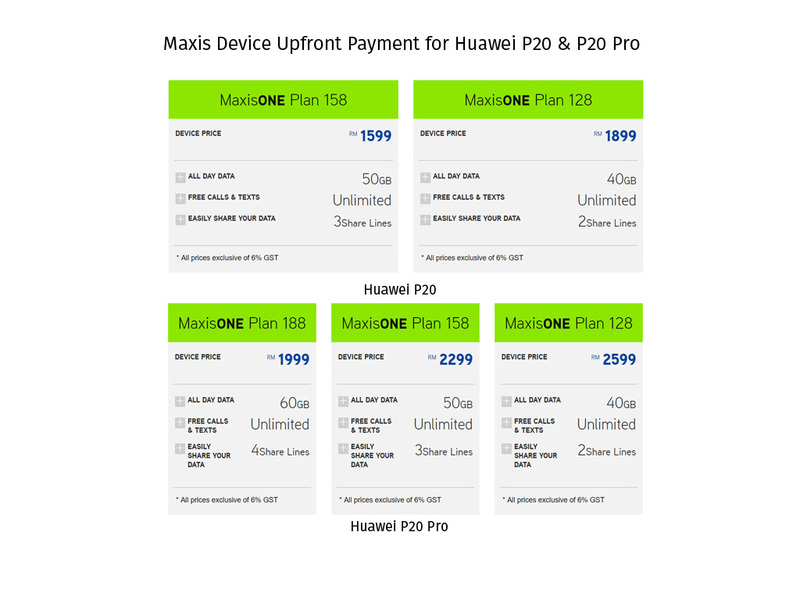 Similarly, the P20 Pro can be purchased for RM1 when customers sign-up for a new MaxisONE Prime plan. The deal is only available at Maxis Stores. Additionally, this offer is only open to new customers; as Maxis customers with existing device contract are unfortunately ineligible for the offer. There is no indication of how long this offer will be available. Maxis is also offering the P20 with two postpaid plans. The device will retail for RM1,599 for the MaxisONE Plan 158 with a device advance payment of RM834. As for the MaxisONE Plan 128, the Huawei P20 retails for RM1,899 with a device advance payment of RM516. On the other hand, Maxis is offering the P20 Pro with all three of its popular plans. The device priced RM1,999, RM2,299 and RM2,599 for the MaxisONE Plan 188, MaxisONE Plan 158, and MaxisONE Plan 128 respectively. The device advance payment is similar to the Huawei P20, with the exception of its most expensive RM188 plan, which will incur an additional RM954 advance payment.